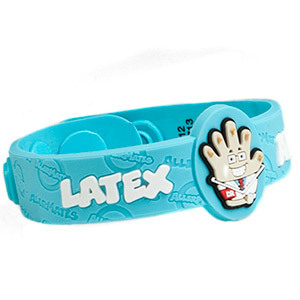 Warn others of your childs Latex allergy with the help of funny Dr. StrangeGlove! Wearing a medical allergy bracelet should be fun, not boring! Not intended for children under three years of age.